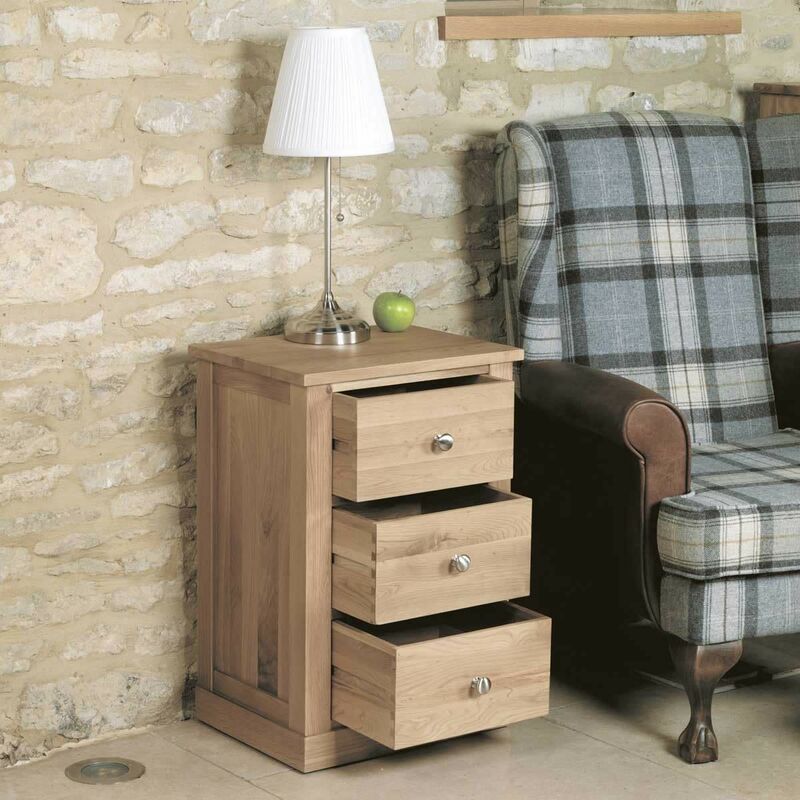 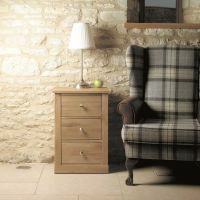 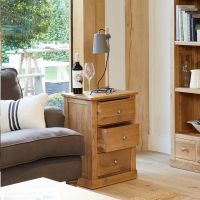 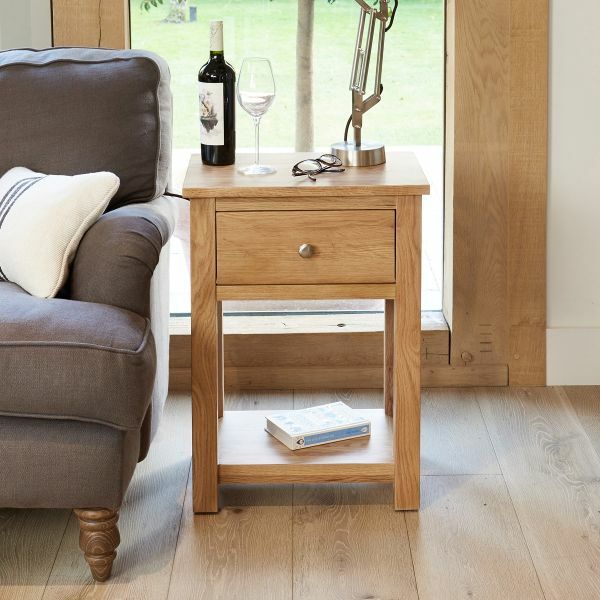 The Mobel Oak three drawer lamp table would make a stunning addition to any living room and co-oridnates with all the coffee tables and TV cabinets in the range. 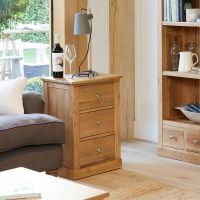 The table has three large drawers and is beautifully finished with a brushed steel knob and includes panel sides and dovetail joints on the drawers. 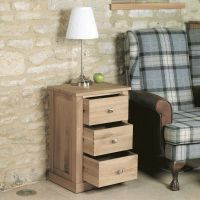 The Mobel Oak three drawer lamp table is delivered fully assembled. 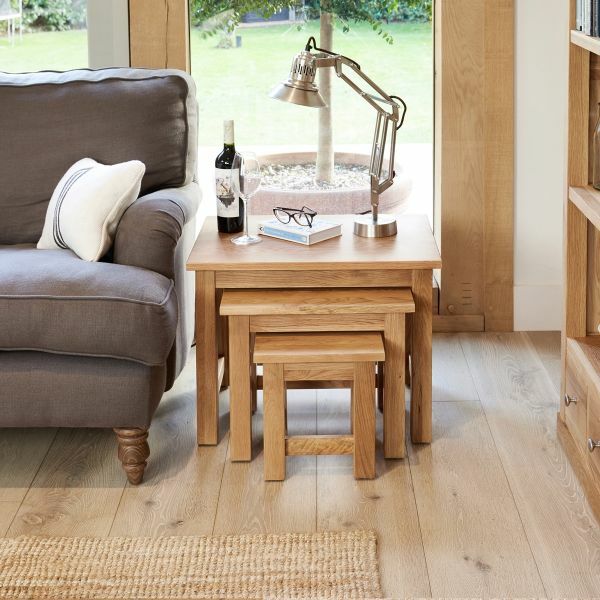 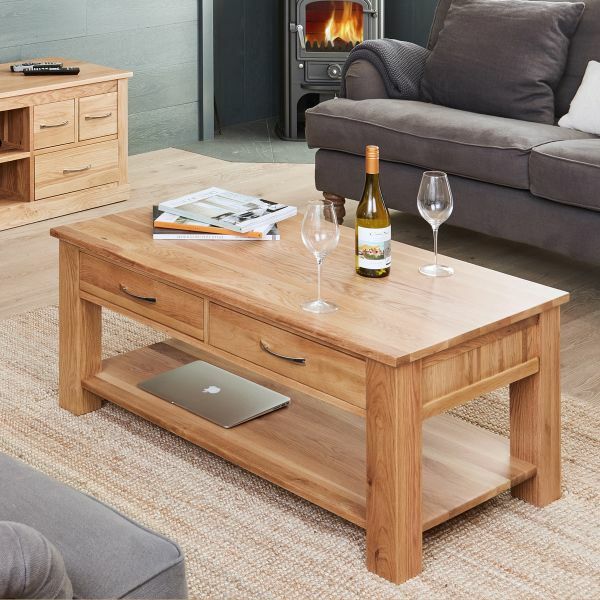 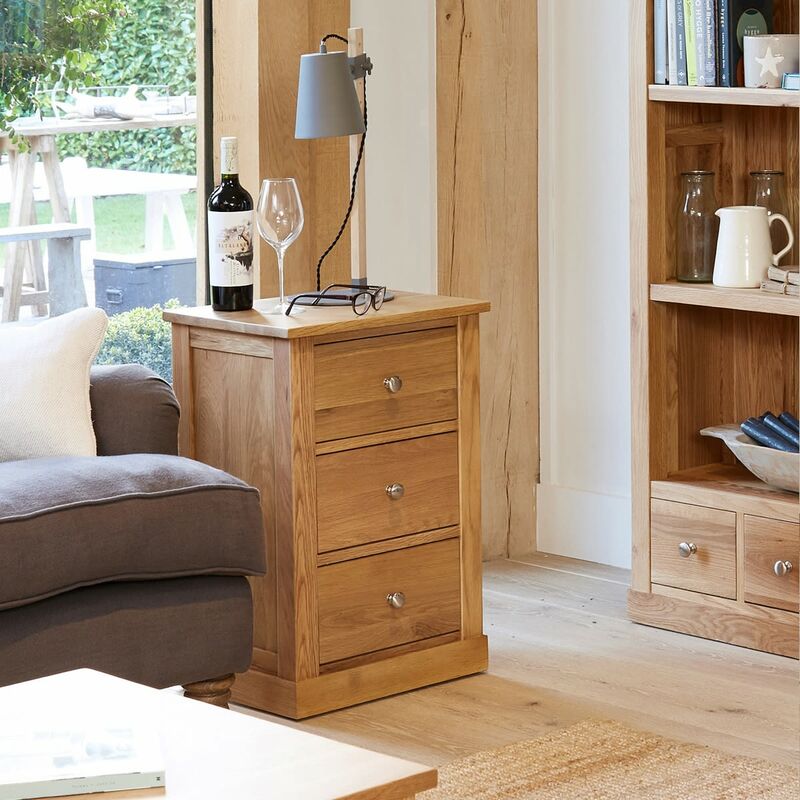 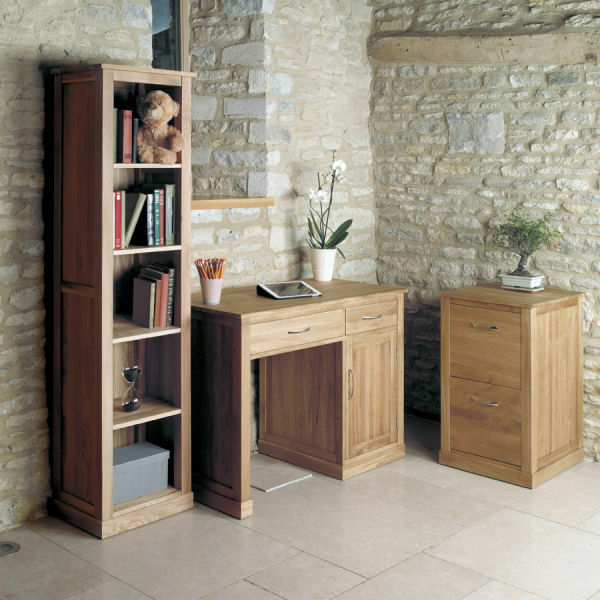 The Mobel Oak living room range includes coffee tables, television cabinets and bookcases. 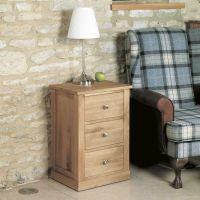 The lamp table has three large drawers which has internal dimensions of height 14.5cm, width 28.5cm and depth 27cm. 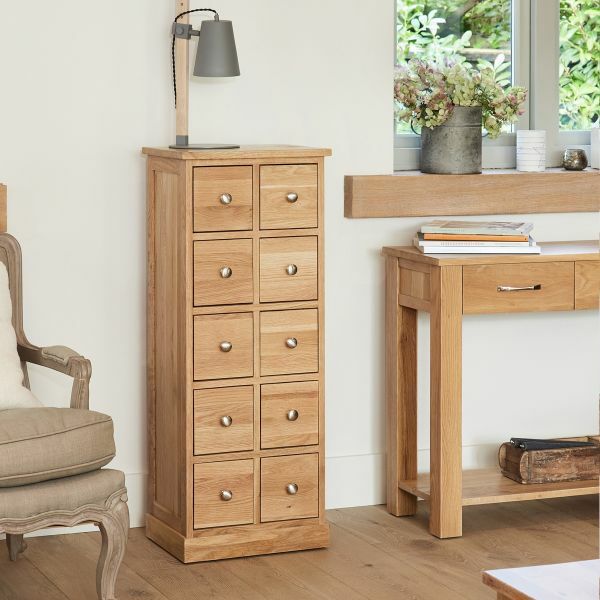 For extra safety the drawers features a drawer stop which prevents the drawer being pulled out completely.